Your long wait is over. It’s here. That’s right…..It’s Power Meter time! 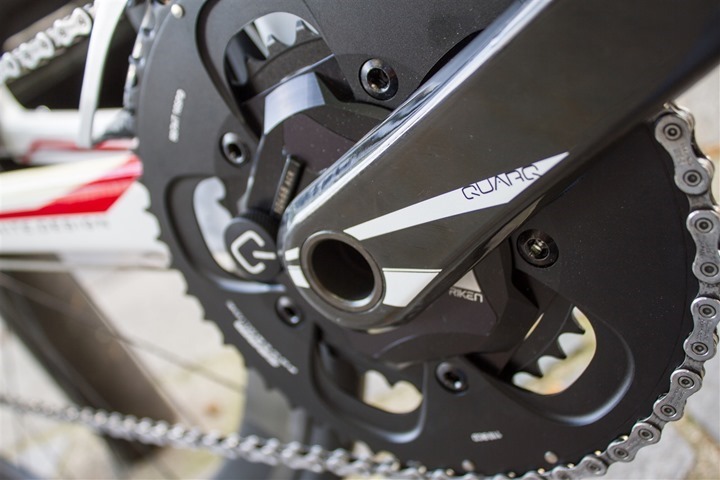 Behold the SRAM Quarq Riken. Let the wagering begin. All you have to wager is a comment, so it’s not really a wager; more like just a…well, a comment. We gave away one of these last year and had well over 3,000 people vying for the chance to own this puppy. But, alas, this year, just like last year; only one of you will win. But don’t let the odds deter you; you can’t win if you don’t play. Good luck! I just recently lost 106 pounds….. Trained for and completed my first sprint triathlon, and am planning to do an Olympic and Half Ironman next year. Training with a power meter would be a dream come true. Wow! That’s what i call a great prize! I could really use this to train hard, please! I see your comment and raise you a comment. There’s no hiding with a power meter! This one would be awesome to have!